Our advanced and reliable pan-Nordic platform is designed to ensure a seamless, effective and accurate data-flow between you, us and other external systems, so you and your customers gets a fast and trustworthy treatment when roadside assistance or other services is needed. 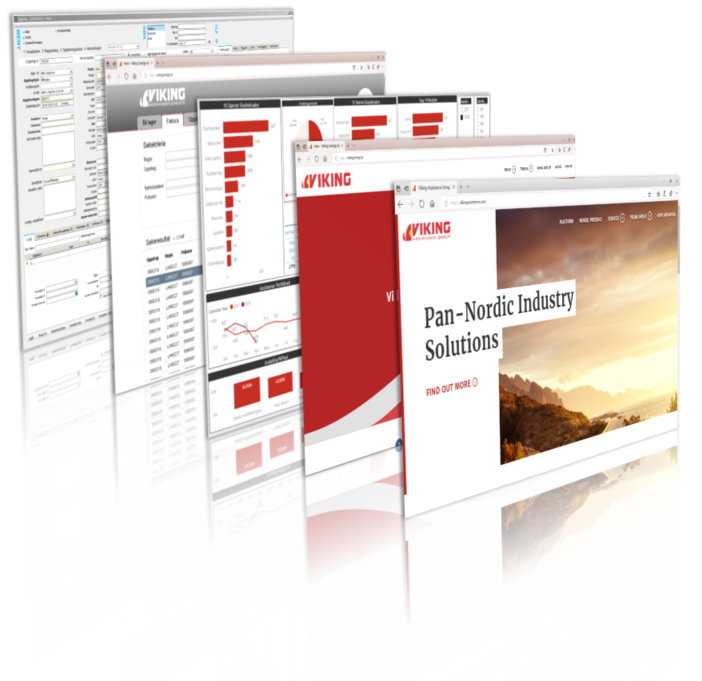 Viking offers the industry’s best, flexible, scalable and robust end-to-end platform. System integration is available by secure and easy to use API’s, reducing the business administration tasks for your company. 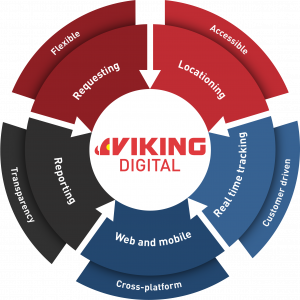 Meet your customers’ expectations and demands during a roadside assistance with quality, accuracy and transparency by using Viking Digital. Let your customers choose the desired customer journey themselves, either digitally or analogy on our cross-platform optimized for phone, web and mobile applications. Our fully-fledged 24/7 Call Center handles 1.4 million calls yearly, and are always ready to take on the challenges you or your customers must have. 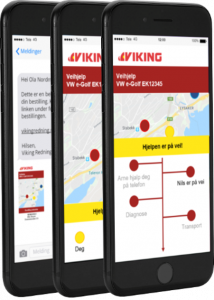 Promote your services on our track-and-trace co-branded or white labeled system used by your customers while waiting for Viking Roadside Assistance, and get their feedback on the service when it’s finished with a customer rating survey. Full transparency and diversity for our partners is our core topics for a great and long-lasting partnership, ensuring a cost-efficient and reliable service. Our web based application gives you direct access to our platform so that you can track and trace every request and assignments from you and your customers, based on your criteria’s. 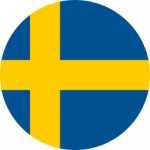 Viking offers multi integration of all types of systems to our platform by secure and easy to use API’s. All of our front-end systems are available for co-branding or white labeling. 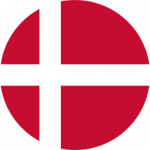 Handling of multiple kind of services. Get your own dedicated numbers connected to our scalable Call Center system for all your lines and bCall/eCall systems. 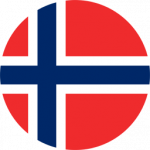 All calls to our Call Center are answered by native operators in respectively Norwegian, Danish, Swedish and Finish. English is mandatory as well as native language per country. To reduce your costs we always try to solve an issue by phone instead of roadside assistance. If the issue is not solvable by phone, we always try to solve the issue on the roadside, avoiding towing and increased costs. You define the criteria’s – towing to nearest or preferred workshop. Real-time tracking of dispatch and status update on every assistance. All assistances ends with a customer survey to monitor customer satisfaction. Invoices are available on our front-end system, and invoices could be created by your criteria’s. In cases with cost-split we take care of invoicing to the different parties. 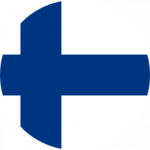 Data available on our data warehouse platform to provide reports and monitoring of your defined KPIs and SLAs. Let us help you with call center outsourcing. We are handling more than 1 400 000 calls annually.